This picture of William Smith as an old man is the one I remember seeing as a child. I have no memory of the man himself because he died when I was three years old. Unfortunately for me, my memory doesn’t go back far enough. What I heard from my mother was that her father was born “in the shadow of the Rock of Cashel” (this turned out to be Irish hyperbole) and he grew up at Corballis in County Dublin. She also told me he inherited the house and farm at Blackhall in County Meath from his uncle Thomas (this turned out to be sort of true but was missing a few pieces of information). My mother talked quite a lot about her father but I probably wasn’t listening carefully because, when I developed an interest in my family history, I realized I didn’t know much about him. After carrying out some research and with the help of several cousins and siblings, I have been able to put together a more complete outline of William’s life. William Smith was born on 19 September 1867 on a farm in Rathcoun townland, which is south-west of the town of Cashel, County Tipperary. William was the fourth child (and second son) of Lancelot Smith and Eliza Upton. By the time he was about 3 years old, his family had moved to a farm in Donabate in County Dublin so his memories of Tipperary must have been slight or non-existent. When he was old enough to go away to school, William was sent to Swords to stay with his aunt and uncle, Hannah and Joseph Backhouse. He attended the Swords National School. This formal photograph was taken when William was about 10 years old. The picture was taken at the Dublin studio of Lauder Bros. I rather like the attempt at a rustic scene – suitable for a farmer’s son. The Smith family lived happily at Corballis House near Donabate for many years, starting around 1871, and their descendants still live there to this day. 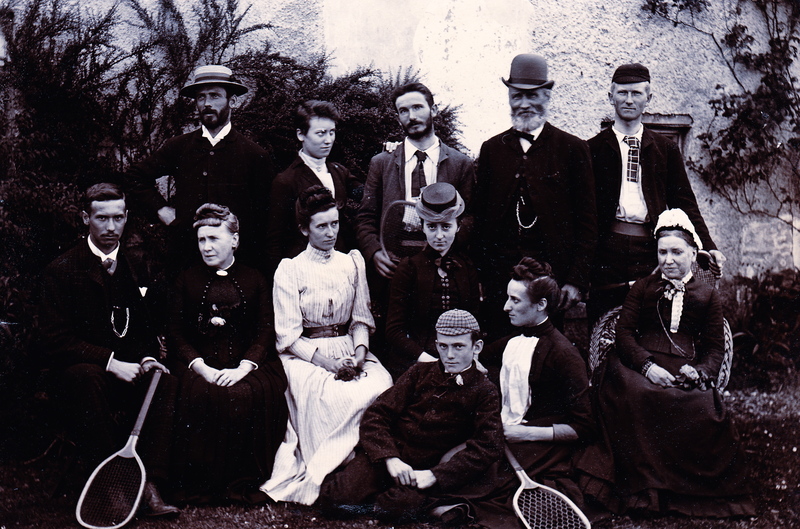 William had three sisters and four brothers and they were all still living at home when this informal photograph was taken of the family at their new tennis court in 1890 or 1891. William was about 23 years old in this picture, which was probably taken by his English cousin Hubert Smith (more about him and about Lizzie Bouskill in later posts). Middle row: Tom, Eliza (mother), Agnes, Lizzie Bouskill, housekeeper? 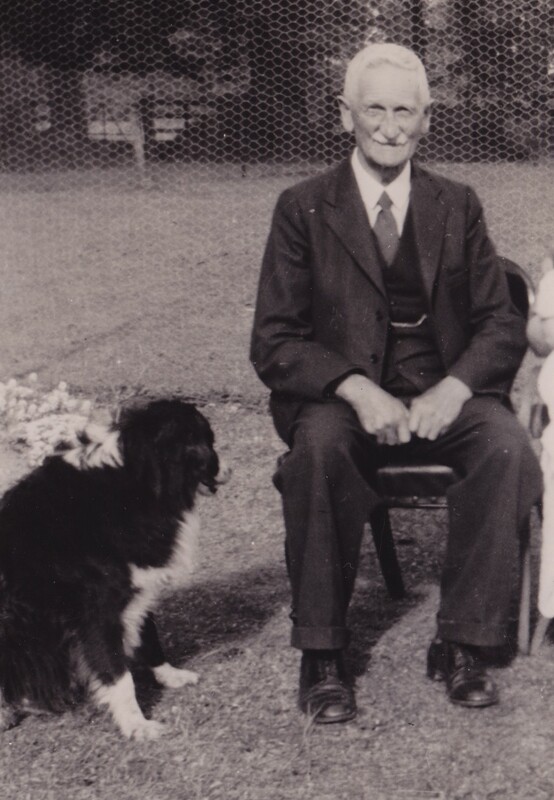 William was 28 years old when he took up the responsibility for running the farm at Blackhall in 1895. Presumably, before that, he would have worked under his father’s direction to learn farm management at Corballis and Blackhall. William lived at Blackhall for over forty-five years. 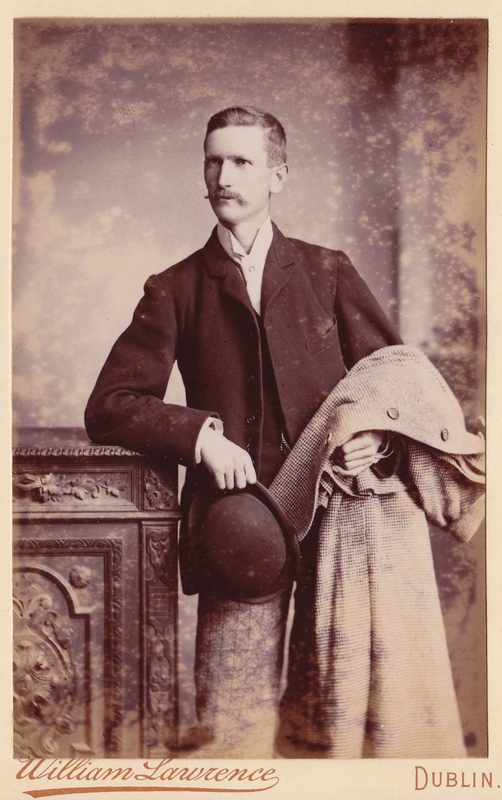 This studio portrait was taken around 1895, probably at the time when William took possession of Blackhall from his father Lancelot. 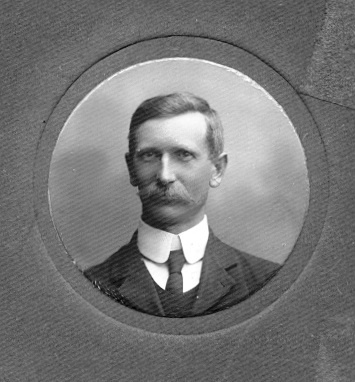 William’s father died in 1899 and, starting in 1900, William was responsible for paying the rent on Blackhall. In the 1901 Irish census he is listed as head of household in Blackhall Big townland although he was actually visiting his friends the McCullochs in Gerrardstown, County Dublin, on the night of the census. 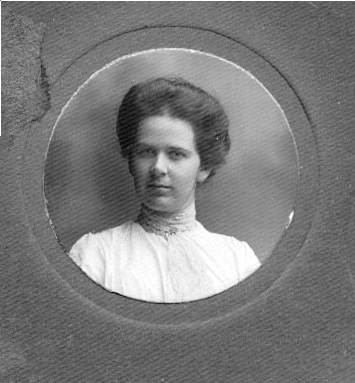 In the summer of 1903, William met Agnes McSymon Anderson (known as Ada) who was on holiday in Ireland visiting her second cousins, the McCullochs. Ada was from the town of Dumbarton in Scotland. She was born in 1878 and brought up in Dumbarton so she was used to town life. She had a taste of something very different from that when she went to live for five years in Kilchattan Bay on the Isle of Bute, to keep house for her brother James Wilson Anderson, who was a minister in the United Free Church of Scotland. Two weeks after William and Ada met, they became engaged. Apparently, Ada’s mother was horrified when Ada went back to Scotland and told her mother she was going to marry an Irishman. However, all was well once Mrs. Anderson met her future son-in-law. She thought he was wonderful. The photographs below were taken around the time of their marriage in 1905. Thomas Ian (called Ian), born 1911. William lived through many political and economic crises in his life. Although he was born in County Tipperary at a time when Ireland was part of the United Kingdom, he found himself in the Irish Free State after 1922. Before that, he witnessed all the political turmoil following the 1916 Easter Rising, the confusion of the following years when the British Army and the Black and Tans tried to control civil unrest and the eventual agreement on separating Ireland from the UK. Then, there were the effects of the Irish Civil War, the Great Depression, the 1937 constitution and the Second World War to contend with. William retired in the early 1940s and his second son Willie took over at Blackhall and at the auctioneering company Smith, Griffin. William’s eldest son Lancelot had no great interest in cattle-rearing so gave up his claim to the family farm and business in return for financial backing to attend Trinity College, Dublin, where he qualified in law and, a few years later, in theology. William’s widow, Ada, continued to live in Sandycove for a few more years and then in 1951 she went to England to live with her youngest son Ian and his wife Nancy. Ada died on 28 April 1959 in Leicester; her ashes were buried at St. Patrick’s Anglican Church in Donabate. A lovely biography! I remember him as a very quiet and gentle grandfather who always had time to answer my questions. He died when I was 11.